Ergonomic 3D design: Unique 3D smart design, imitates hand massage. 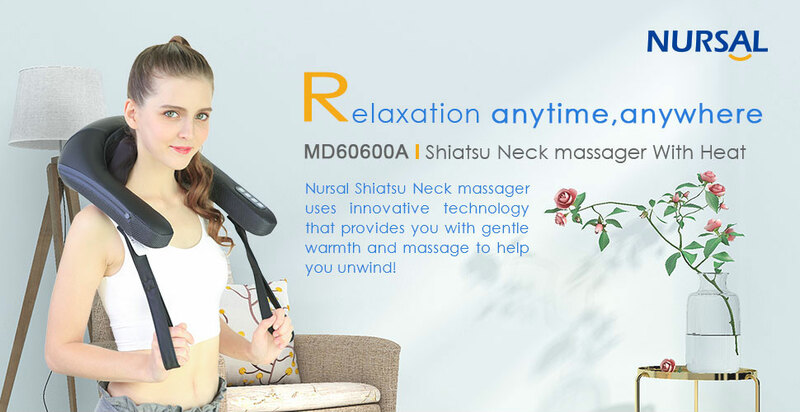 High flexibility making the massage experience easier and more comfortable to your neck, shoulder and back. Safe to touch skin, fabric and delicate surfaces. 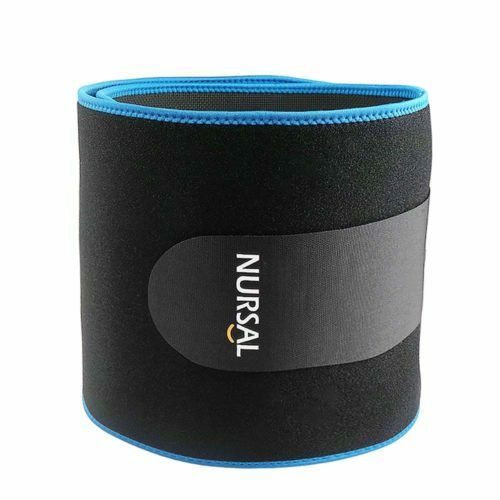 4 Kneading Rollers and 2 Pinching Nodes: This shiatsu neck and shoulder massager has 4 kneading rollers and 2 pinching nodes. 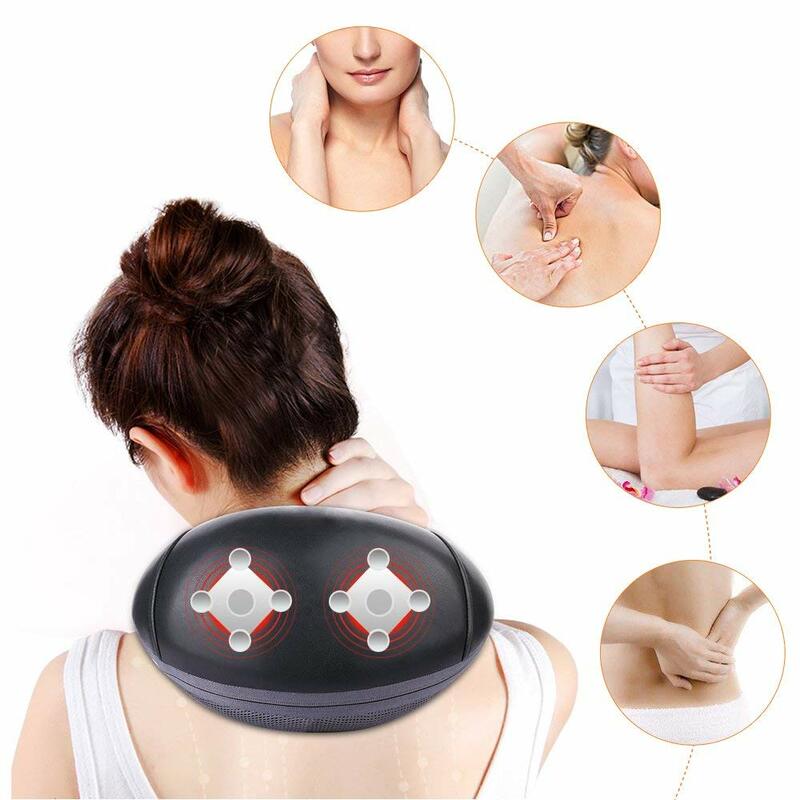 It will knead your neck, shoulder and pinch upper back at the same time, which is effectively to soothe sore neck muscles and relieve you from shoulder and back pain. Heating capabilities: The heating function is available. Improve and promote blood circulation around the neck, shoulders and back, thus relieving pain and fatigue. Adjustable Modes & Speed: 2 powerful massage modes easy to select. Desired speed can be achieved by simple adjustment. The mode and speed indicator will signal simultaneously. It is safe and convenient with a 10-minute automatic timeout. Ultra Mute Function & Power-off Protection:The use of high stability DC motor with anti-interference and anti-static capabilities- reduces noise pollution. It will shut off automatically after10 minutes. Question: how long is the electric cord? Answer: The cord is 6 feet long. The problem with it is it plugs into the unit where the strap is under the controls. You get a very good massage with it. Great massager! the product works amazing with the heat feature. help me relax my body after long day works. must have. 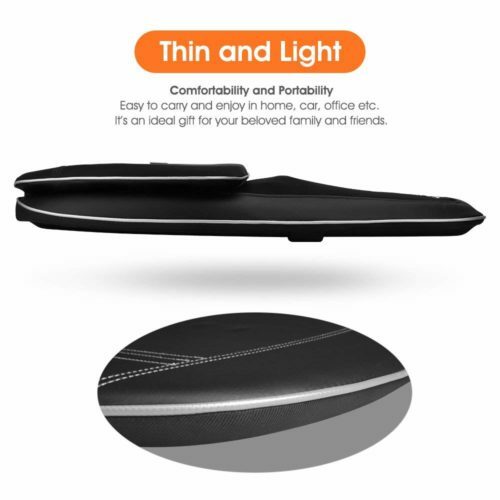 The weigh of this massager is just right, not too heavy and not too light neither. The kneading feels good, it’s firm and stronger (i tend to pull down where and when i want more pressure). Though i prefer it’s hotter; but i guess this may not be a good thing to others. All in all, this things relaxes me while i am sitting here to watch tv after a long day sitting in front of the laptop working. it’s much better than those hand held massagers. Good build quality too not to mention! Recommend it! I originally ordered this for my wife since she has stiff neck and chronic back pains. When she first tried it, she loved it. She love the kneading motion and the heating option, but the only thing she complained about is the weight of it. 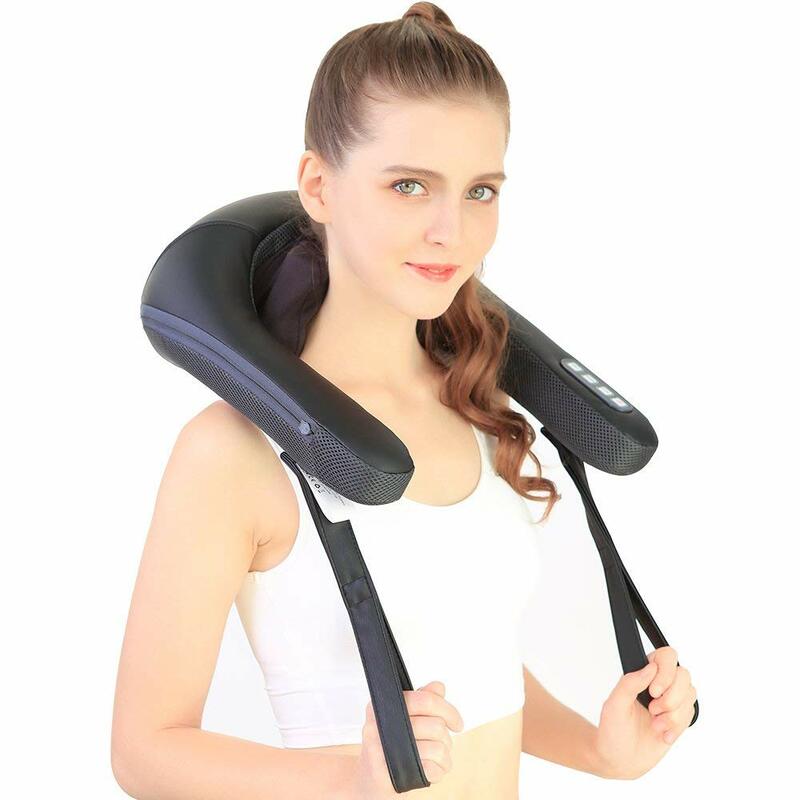 She is very skinny, so this massager is a little too heavy on her shoulder. So I took it over and tried it myself and boy, I fell in love with it. It really relaxes my shoulder, neck, and upper back. It’s very strong, but it pauses, and stops after certain time to prevent from injuries. Fast delivery! Recieved in perfect condition and brand new! The leather and fabic feels very nice. Totally worth the price! Got it for my mom would has chronic shoulder and pain and she loves it! Great gift to parents and elder ppl in the family. Bought this to help ease some of the neck and shoulder pain that my mom was experiencing. It has a heat mode, vibration, and massage. it has been very reliable and has helped reduce my mom’s neck and shoulder pain.Great gift to parents and elder ppl in the family. I ordered this product last week by one of my friends recommended! Because my back shoulder and neck always feel sore and tight! Special after work .it works really good for me .i feel so relax after I used this massage! They have different speed you can choose!great I loved it right now I used this every night when I got of the work ! Thanks for recommendation! This is better than I even imagined. The massage seems very well made. It’s easy to change the controls since. You can control the intensity of the massage by adding or decreasing pressure with your arm and helps break up that tight muscles. 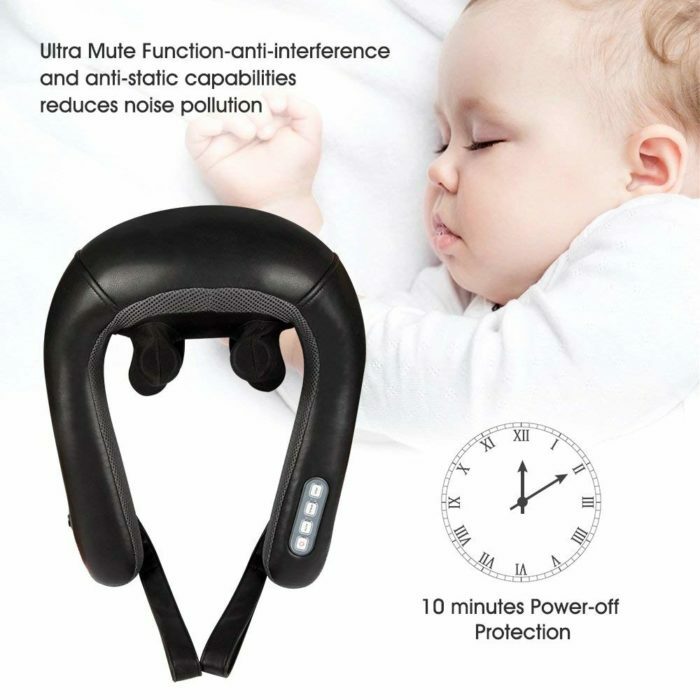 Used a couple of times already, helped to relief tight neck very well. This was a well built product, but at this time we do not need this item. A late Thanksgiving gift for my parent. so I brought this massager for my parent who used to have neck and back pain. When it arrived, they were complained about the size of massager. it did not work out right away, my mom feel a little discomfort after first use, but when she try to use again the next day she felt much better. They still go to physical therapy regularly this month, but it definitely help relief the pain. When I use it, like someone to help me, like a massage. Usually very sour when my neck, I use it, feel very comfortable after running out. I buy this massager for my mother in law. She like it very much. She said this massager is easy to use. And the power is perfect. Every time when she did too much housework,her neck and shoulder would be ache. Luckily this massager makes difference. I appreciate it. This massage tool works really well. It help relax my neck and shoulder muscle after a day in the office. 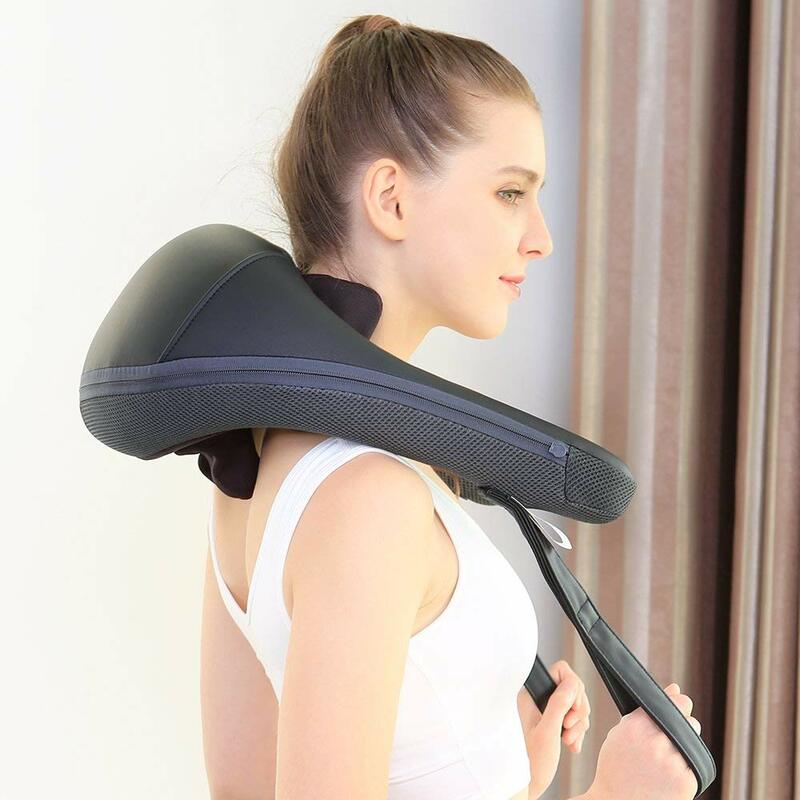 – Can move around to work the muscles from various angles – Squeezes hard enough to work well – Worked really well to loosen my sore neck and shoulders – Auto has 2 modes and they both work really well – One of the best purchases we’ve made to help with sore neck and muscles. I tried this neck and shoulder massager last night and today, it makes me so relaxed. My neck and shoulder always hurt because of my work. It helps me a lot. My husband can’t leave without it now! The heat function make my neck feels so nice and warm. I love this product! Be prepared to love again! This blessing of neck-massager is my new spirit animal. My hubby calls it the hell beast from heaven. This beast said lookout hellacious neck stiffness I’m coming to Town! And boy does it ever! Works great on shoulders and neck once it’s positioned correctly. The only thing I don’t like is the power cord is too short so I have to use an extension cord but otherwise it provides a lot of relief. This is pretty amazing. The only thing is that it needs a knob in the top center to get the spot that’s really hurting me. I have to tilt my head to the side to get it in there. For years I have been tilting my head either all the way to the left or all the way to the right since a child sleeping against the windows in the backseats of family cars. My bf can’t be here all the time to do this so it’s cool that there’s something out here like this. This massager is great. It feels like a robot is massaging your neck and shoulders, but in a good way. The massager applies a lot of pressure and really does a great job of kneading. It is very easy to set up and use. You just plug the cord into the massager and an outlet and it’s ready to go. You simply position it on your shoulders and select the mode you would like and it just starts massaging. I love it. 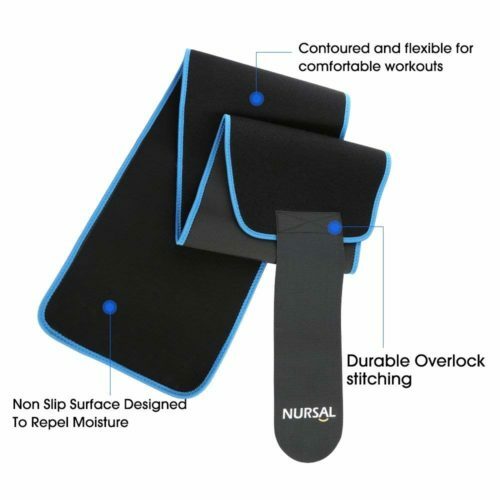 It feels very durable and is well made and super easy to use. This massager works very well. Wow, I’ve had this massager for several days and it’s by far the best massager I’ve ever owned. It’s definitely deep tissue, feels just like fingers digging deep into the muscle and working out all the aches and pains! I highly recommend this massager, and I love that you can move it around to massage different parts of your neck, shoulders, and back. 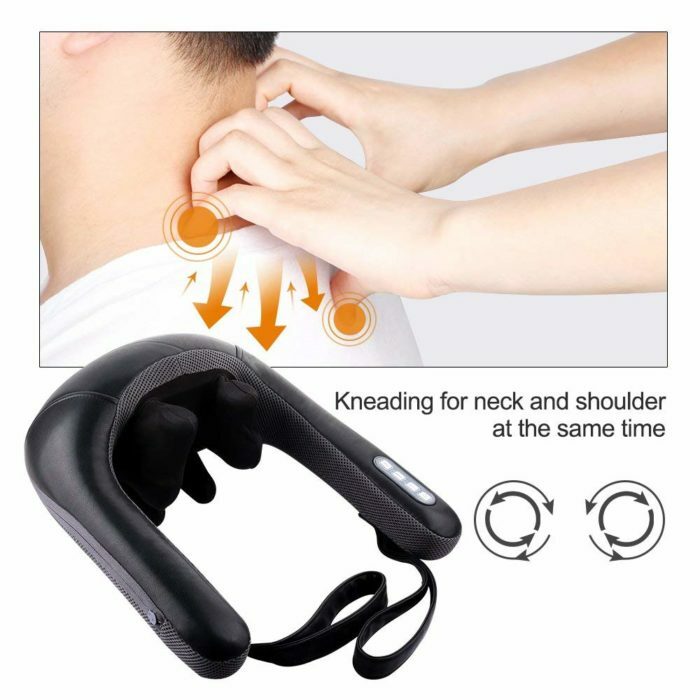 I bought this Nick and shoulder massager because I was looking for something that can relieve stress from my shoulders. At the beginning I was a little skeptical about the functionality of it. When I received it and tried it I was amazed. It works great and gives a feeling as if someone is massaging the shoulders. It features different settings for stronger or softer pressure and it also features heat that helps relieve pain. 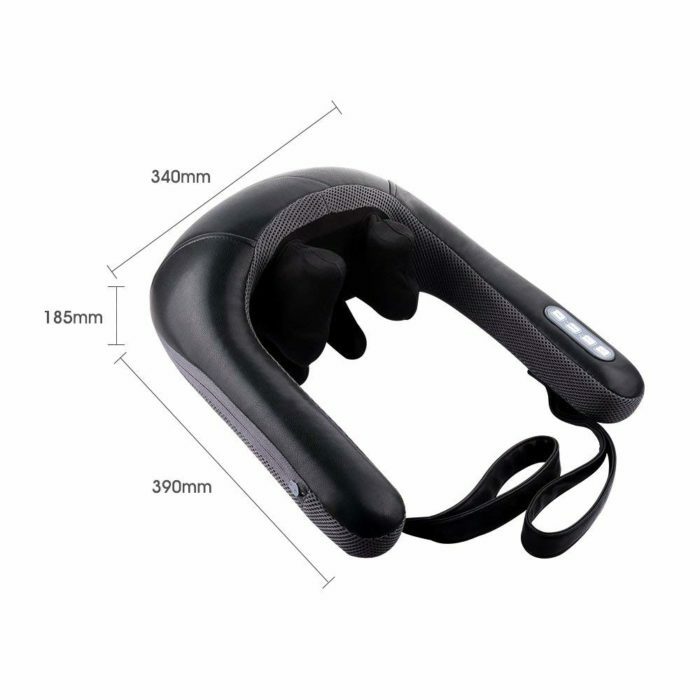 It is very comfortable and durable definitely not one of those cheap massagers. I really recommend this as a gift to someone. It is also packaged very nicely. This is a must-have in the household. I was hesitant to try this product because I have tried them in stores and they really annoyed me. This unit gives a comfortable massage and the heat temperature is just right. Afterwards, I felt the benefits for several hours. Great for the neck. Very powerful. 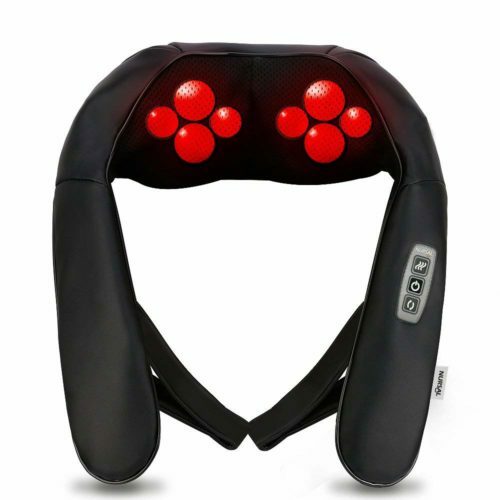 This massager is really like someone using their hands to knead and massage your neck. Really quite impressive! My wife loves this and thinks it does a much better job at a massage than I do (it does). 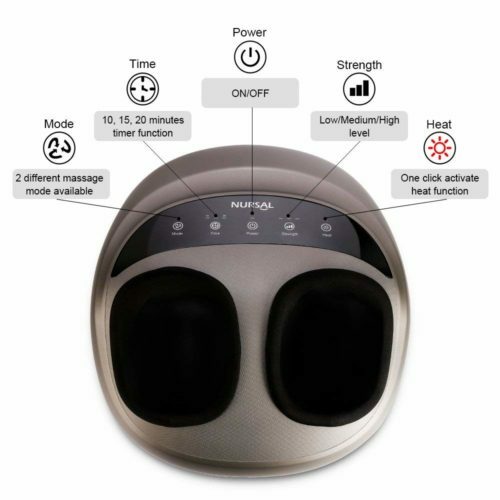 This is the most unique massager I have used in that it does not spin or vibrate but rather it opens and closes just like someone using the palms of their hands to push together on your skin. I prefer the default settings but there are additional settings that somewhat randomize the speed of the massage (I suppose to emulate a more real, less robotic massage). 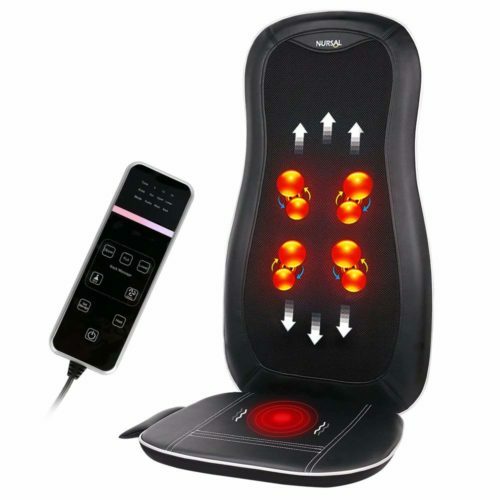 The massage can also be heated (but the massaging parts don’t glow red like in the product picture). One thing of note; there was a weird packaged smell when I unboxed it. The smell fades after time. Overall this is a good massager specifically if you are looking to massage your neck and upper back. I have not found a way to use it on other areas of the body (though I suppose if I was creative enough I probably could). 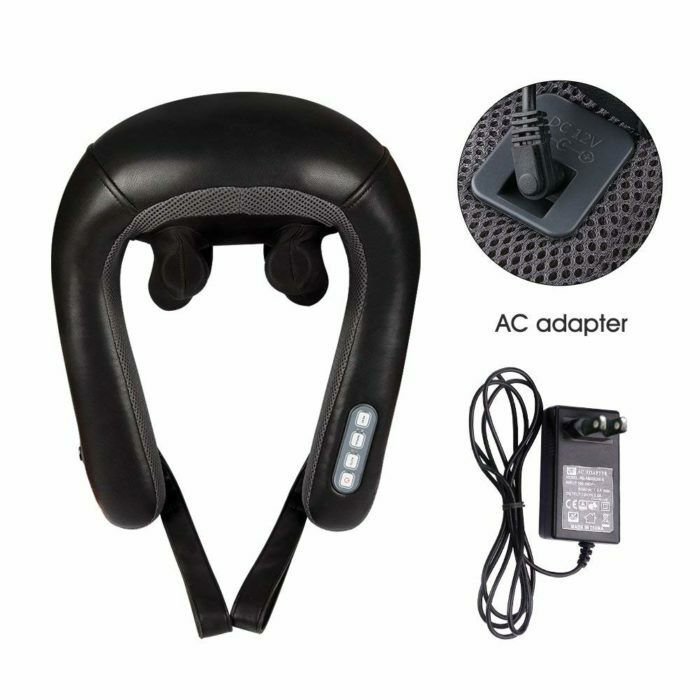 This is a good and easy-to-use neck and shoulder massager. 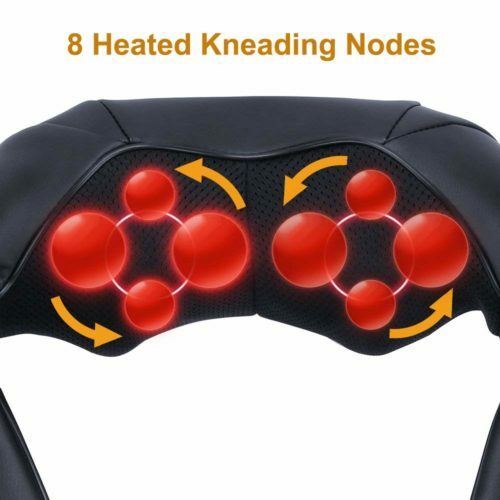 Just connect power, put the massager over my shoulder, put the wrist straps onto my arm, press button to select desired mode, and massage starts. 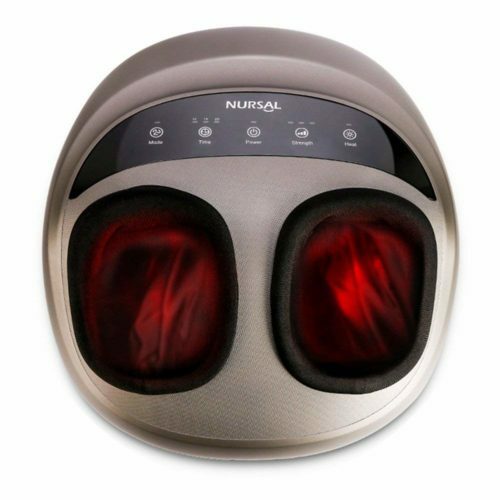 The package includes one NURSAL 3D Deep Shiatsu Kneading Neck and Shoulder Massager with Heat, power adapter, and manual. The main massaging area is neck, shoulder and upper back and the massaging style is “Shiatsu” (similar to people using finger to apply pressure onto the area). The pressure is quite strong and there are different modes to choose from – 2 auto modes and 2 manual modes. Auto modes have pre-programmed pattern and style and last up to 10 minutes. Manual modes would repeat the same massaging pattern. I like that I can use the wrist strap to fine adjust the pressure on this massager. 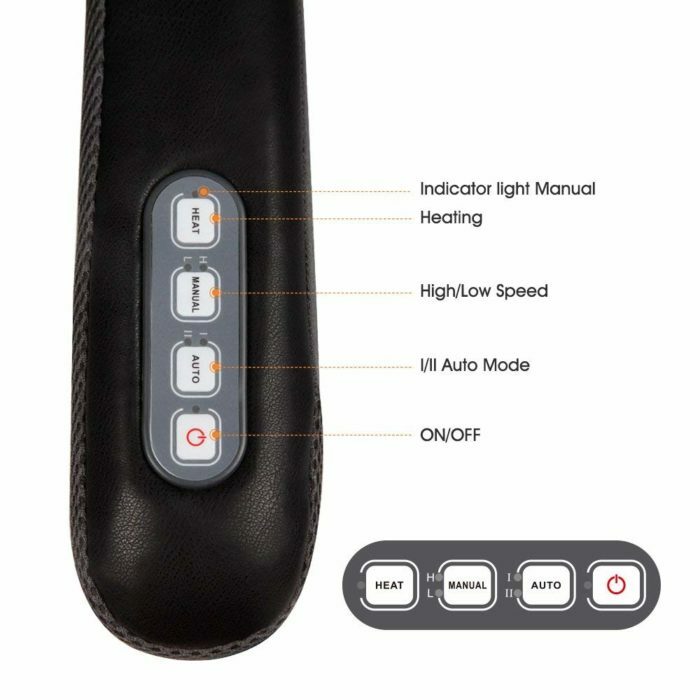 It also has built-in heating feature and can be activated by pressing the heat button while massaging. The heating effect isn’t very strong but I did feel it gets a bit warmer.